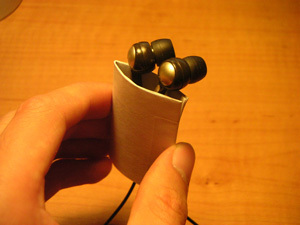 There are several do-it-yourself earbud cord wraps out there. Some are nice, some are… resourceful. I’ve seen some made of foam (from old flip-flops maybe) or credit cards, but I have yet to see one as cheap (or at least readily available) as my very own. 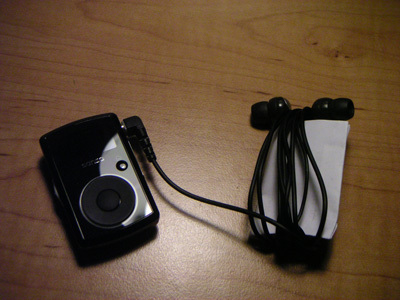 I misplace my earbud cord wraps all the time, so it’s great to have ones that are compact, easily replaceable, quick to make, and easily disposable. Oh, and functional. heh. 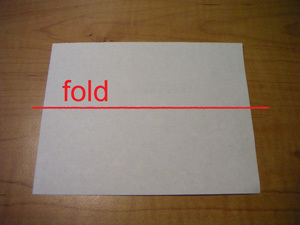 With the quarter-sheet of paper oriented in “landscape” mode (as opposed to “portrait”), fold the sheet along its horizontal axis (the “long way”) and crease. 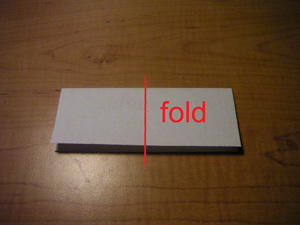 Fold the folded piece of paper along its vertical axis, like a book, and crease. 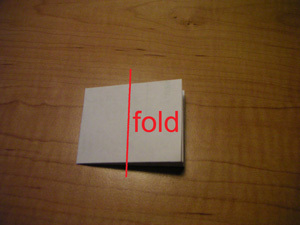 Again, fold the twice-folded piece of paper along its vertical axis, like a book, and crease. Tape closed the opening opposite the “spine”. 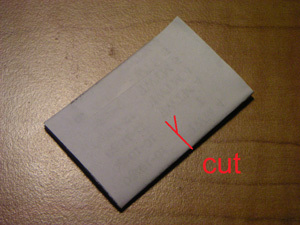 Slip your finger between the middle layers of paper and squeeze the sides to form an opening, forming a somewhat tube. Thread the earbuds through the tube. This may need to be done one bud at a time. Wrap the cord along the vertical axis, between the two earbuds, until you’ve reached the end of the cord. Store the bundle in a place it won’t be jostled around too much. Congratulations. 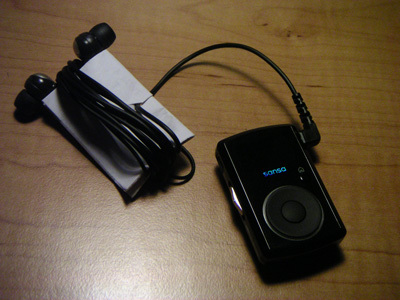 You have a fully functional Poor Man’s Earbud Cord Wrap. Standard Edition. The Standard Edition is usually suitable enough to prevent tangling, and it usually stays wrapped if you’re storing the earbuds somewhere that doesn’t get tossed around too much. However, if you want to be baller and you have a pair of scissors and 15 seconds to spare, consider upgrading to the Deluxe Edition. The Deluxe Edition makes sure the cord stays wrapped around the holder. To upgrade, cut a small ~1/4″ slit in the “spine”, perpendicular to it, and a small “branch” slit off that so you can push out the “tab” to create a small hole, which I call the Cord Holder Hole. [Update]: Welcome Lifehacker readers! Be sure to check out my comics and subscribe to my RSS feed. 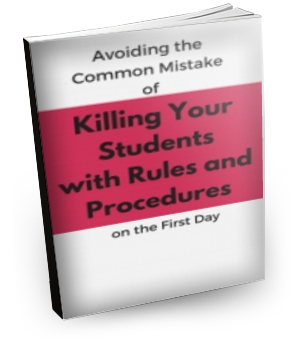 If you’re interested in tips like the above, look through my other guides. Thanks for this. Works great. I’ve added a hole punch in the center about a 1/4″ from the ‘bottom’. I threaded the plug through the pocket and out the hole on one side. When unwound the paper just drops down to the Y and stays there nicely due to the hole. Ah, that is pretty cool. Any worries on if the wire insulation will come off? I’d recommend hole punching and then cutting it open so It’s kind of like a net shape… like this: O- (sorry). This way, your wire wouldn’t be all messed up but you could still put it in through the slit! You’re world famous! Also, awesome idea. I think I’ll have to try this for my earbuds too. 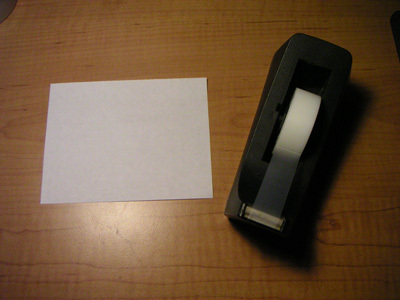 An index card gives it a bit more rigidity, and I second Joel’s comment about a hole punch. It works great for keeping the wire from sliding all the way through the holder. Fabulous idea! Love the pics as well.